Many people adopt their particular raw food diet with the impression that eating foods uncooked - as man did for millennia - will magically remove their dental woes. Animals in the wild don't have to worry about how to care for teeth, they say, so why should I? These people sometimes go on to suffer yet more dental problems, and frequently damn the diets they pinned so much hope on. But the rawness of a diet has little to do with their dental problems. You Don't Have "Bad Teeth"
I have genetically bad teeth and gums, my mother tells me, just like her. She's always encouraged me to go regularly to the dentist for cleanings, and to be particular in how I care for my mouth. But I was always annoyed growing up when my dentist, despite my regular twice-daily brushing and flossing, would tell me that I needed to do a better job taking care of my teeth. There would always be tons of plaque around my them, and I could never get rid of it entirely. As I got older I suffered a bit from cavities, which made the whole situation even more annoying. Then I went on a healthy raw food diet, suddenly my dentist was exclaiming over how pleased he was that I was taking so much better care of my teeth. The plaque build up was considerably reduced, and I wasn't getting cavities anymore. Dental checkups pretty much became an affirmation that I'm on the right track. "Just keep doing what you're doing," my dentist tells me, and so I do. In fact, my teeth even make an impression internationally. I got a cleaning from a Thai dentist in Chiang Mai, Thailand a few months back and she was surprised to hear that it had been a full six months since my last cleaning because there was so little build up on my teeth and gums. So What's the Difference Between How Most Raw Foodists Care For Teeth and What I do? 1) I Rarely Eat Dried Fruit: Many raw foodists eschew fresh fruit and eat tons dry fruit instead in an attempt to meet their caloric needs or for more concentrated flavors. Devoid of most of its original moisture and extremely calorically dense, dried fruit might fuel your body, but it'll ruin your mouth. Anyone who has eaten some raisins knows that the gummy stuff sticks in every crevice. Once its caked on, bacteria starts to break it down, but it eliminates an acid in doing so. 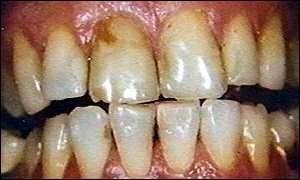 Over time, when acid keeps getting deposited directly onto teeth, you're going to develop a cavity. I highly suggest that you avoid dried fruit almost entirely. On the rare occasions that I do eat it, I quickly follow the meal with flossing and brushing. On those occasions that you choose to eat dried fruit, you can rehydrate it by soaking it in water for a time, which will certainly help with digestion, and may help avoid some of the stickiness. The problem is similar for partially-dried fruit as well. Dates, for instance, have very little water content and will stick to teeth. I usually only eat them after soaking them in water or blending them to make "datorade"
So first, care for teeth by avoiding what eats away at them. 2) I Rarely Eat Nuts and Seeds: Nuts and seeds are almost always dried when found in the store, and like dried fruit they can wreak havoc in your mouth by sticking to your teeth. The body generates acid in your mouth to break nut and seed particles down. It's enough to lower your pH balance, and when that happens the enamel of your teeth is in trouble. I again highly suggest that you eat nuts and seeds rarely, and when you do, follow up with brushing and flossing. 3) I Rarely Drink Juice: Dentists have long warned patients that acidic juices can destroy the enamel on teeth, and that goes for raw juice as well. If you're going to drink it at all, I suggest you do so in very limited quantities and that you use a straw to bypass the problem. 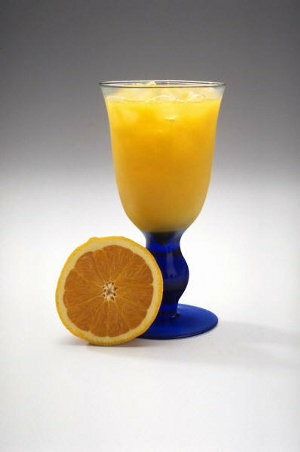 4) I Eat Acid Fruit In Moderation: Oranges, grapefruit, pineapple, etc, are all highly acidic. Each is extremely healthy, but if you're eating nothing but huge volumes of these foods day after day, over the course of many months it may be possible to strip the enamel off your teeth. This is primarily a problem for those who eat nothing but acidic fruit for months on end. If you want to eat lots of citrus, especially during the winter when it's in season and tastes great, go ahead. I would not suggest a diet of nothing but acid fruit, however. When you do eat something acidic, follow the meal with a water swish to make sure the acid does not stay on your teeth. 5) I Care For My Teeth: Though I stopped using toothpaste some time ago, I'm still meticulous about my flossing and brushing. I also periodically use some baking soda. It may be overkill, as the dentist consistently says my teeth are great, but I make it a habit to brush once a day and floss twice a day. There is such a thing as overdoing it. One of the largest causes of gum disease is overzealous brushing, which can damage delicate gum tissue. Another is flossing the actual gums instead of the sides of the teeth, which can create pockets in the flesh. Those pockets can then host food particles, creating more problems. Although I see little reason why anyone not suffering from physical trauma should bother with a medical doctor, I am absolutely in favor of regular cleanings at the dentist. Our teeth need regular cleanings, and even if that need is reduced on a raw food diet, we still should get a professional to help us clean areas that are hard to get at. Raw foodists are troubled by their past diets as much as by the one they're on. You simply can't expect to undo decades of dental abuse overnight. If your dentist finds a cavity after six weeks on a raw diet, it's probably not the raw diet that caused it. In Short: Want to Care For Teeth? Eat well in the long term, brush and floss, and you won't have to care for teeth with your checkbook in the dentist's office. The same diet that cures diseases and gives you incredibly amounts of energy also keeps your teeth healthy. Read how the diet that helps you care for teeth also combats disease.